We are happy to have partnered with Healthy Smile Pet Dental to offer Anesthesia & Sedative free professional teeth cleanings for your dogs! 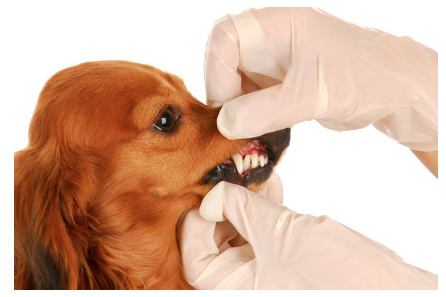 Our dog teeth cleaning miami events occur once per month. We provide superior Cosmetic dental cleaning without anesthesia for your dogs. You get the same perfectly cleaned and polished teeth you expect with any cleaning, but with absolutely no anesthesia or any type of sedatives. We utilize the latest techniques and gentle holding positions, which calm and relax the patient throughout the procedure, to obtain excellent results without stressing out you or your pet. Our technicians are highly qualified and certified to perform this method using proprietary techniques with a proven track record. This method is the perfect choice for older pets or those with health concerns that won’t allow them to go under anesthesia. 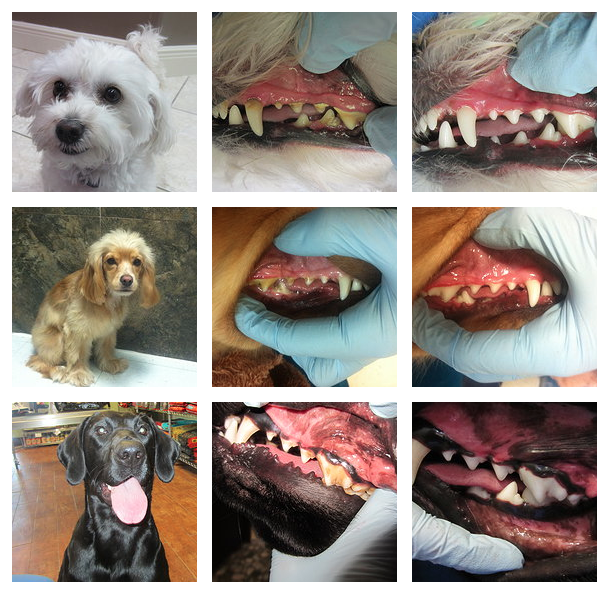 Learn more about our dog teeth cleaning miami events by visiting one of the tabs below. What happens if you find a dental problem during the dental cleaning? 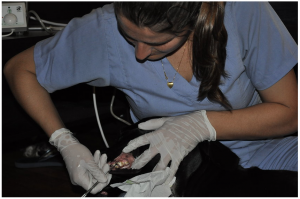 If we find problems which need your veterinarian’s attention, for example teeth which need to be extracted, we will put the information on your dental report and we will refer you back to your doctor to have a dental under anesthesia and there will be no charge. We do not charge unless we are 100% finished with the dental cleaning. Do you use sterilize your instruments? What kind of maintenance should be done? Regular teeth cleaning is important for overall oral health. You can have your dogs teeth brushed as part of our grooming services. Learn more here. 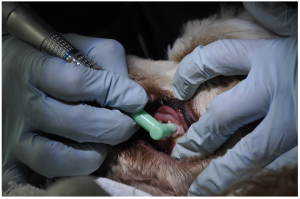 We offer an alternative method to the traditional anesthetic dental procedure, by cleaning and maintaining your pet’s oral health with Anesthesia-Free cosmetic dental care for dogs. By doing this, we prevent problems before they even begin and ensure a healthy life with a regular dental cleaning. Because our Dental Technicians are highly qualified and certified to perform a complete teeth cleaning and polishing, including subgingival scaling utilizing the latest techniques and gentle holding positions used in Anesthesia-Free dentistry today. Our techniques are similar to the ones used in Pediatric Dentistry, with specialized calming methods to relax the patient and proprietary holding methods, which allow the technician to position the pet in the proper manner to complete the procedure with excellent results. This gives you the same perfectly cleaned and polished teeth you expect from any dental cleaning. Please be aware that Cosmetic dental cleaning without anesthesia focus in preventive dental care. Preventive care is essential in maintaining your pet’s health. Always discuss your pet’s health concerns with your veterinarian. Cleaning your pet’s teeth is not only a cosmetic concern, tooth plaque contains bacteria that can infect gum tissue and the roots of teeth, which can result in oral disease and tooth loss. Additional negative impacts on oral health, bacteria can enter the blood stream through large blood vessels located near the gums and teeth, this bacteria travels to the organs with the highest blood flow; the lungs, heart, kidneys, brain and the liver, causing infections that can shorten your pet’s life. Appointments available every first Tuesday of the month.